Rhino Trailers is well prepared for the major growth spurt in its Toowoomba home, thanks to the support of suppliers like component specialist, Fuwa K-Hitch. The city of Toowoomba, Queensland – also known as ‘The Garden City’ – is blossoming. Heavy investments in the region from government and private entities alike will pump upwards of $1 billion into infrastructure and roads, much of which will directly benefit the heavy vehicle road transport industry. One such project is the Toowoomba Enterprise Hub (TEH), which claims to be one of the most significant transport, logistics and business hubs in Australia, encompassing an internationally capable airport and a major freight facility with more than 2,000 hectares of industrial land. On top of that, access for heavy vehicles is being improved thanks to the $1.137 billion Toowoomba Second Range Crossing (TSRC) project, which is making progress with Stage 2 of the Gore Highway works at Athol and the Warrego West interchange projects now underway. Local trailer builder, Rhino Trailers, is already riding the wave of the region’s growth with an order book brimming with requests for its trailing equipment. 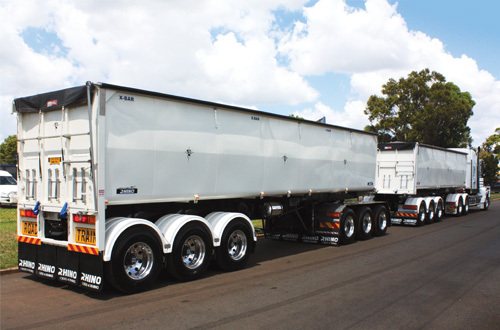 Scott Arnold, General Manager of Rhino Trailers, says requests for its tippers and low loaders have been particularly strong over the last two years – also thanks in large part to the trailer builder’s close proximity to the Darling Downs and its significant grain production. Scott says that when Rhino Trailers is in the thick of it, it turns to its suppliers for their support and on-time deliveries. 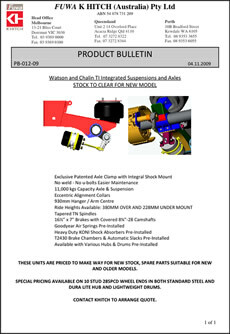 “When we’re dealing with such hectic times in the business, we need suppliers we can rely on to provide the right equipment at the right time that will perform – no questions asked,” Scott says – adding that a significant quantity of his fifth wheels, landing legs and axle and suspension units come from Fuwa K-Hitch. 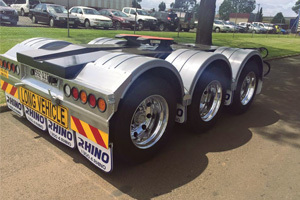 Mirroring Fuwa K-Hitch’s customer focus, Rhino Trailers has recently expanded its service to encompass all its client needs, from small repairs right through to full refurbishments at its 11-acre facility in Toowoomba. “We’re really starting to push full refurbish and major crash repairs to ensure we can offer as much to the end user as possible,” says Scott. He adds that Rhino’s location is a real drawcard for the transport operators working on the massive local infrastructure projects, with the most common alternative a two-hour drive away in Brisbane.